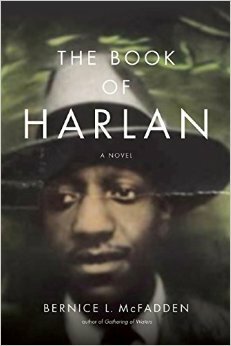 I was fortunate to receive an early copy of Bernice L. McFadden’s upcoming novel, The Book of Harlan. After reading her previous novel Gathering of Waters, a historical fiction tale surrounding the life of Emmett Till, with themes of animism and its presence in a family from Money, Mississippi , I was more than excited to dive into McFadden’s latest offering. Photo: akashic books The Book of Harlan is a biographical fiction tale of Harlan Elliott, a musician who is kidnapped by Nazi soldiers and forced into a concentration camp. The novel begins with the meeting of Harlan’s parents: beautiful and musically inclined, Emma Robinson, and hardworking love-struck Sam Elliott. Their love is one so magical it conjures up a son, Harlan, laced with so much lethargy, he enters the world yawning. That lethargy follows Harlan as he stumbles through his early adult years inebriated on a cocktail of women, music, reefer, and the rapture of the Harlem Renaissance. No one could ever imagine that the clock would strike twelve and the fantastical ball would come to its inevitable end. But it does. For Harlan, it is on the eve of his departure from Paris when the magical mist of excess and naiveté clears. What follows are a series of unfortunate events that will irrevocably change his life. Photo: youtube Bernice’s prose stuns, yet again, in its succinct but visceral examination of the lengths of humanity. McFadden plunges into one of the most tragic atrocities against humankind and brings the humanity, the empathy, and the intimacy to the surface. In one of the most poignant scenes in The Book of Harlan, Harlan debates eating a cookie given to him and the other Holocaust prisoners on Christmas Eve. On one hand it is a gift from a murderer who stripped Harlan of his freedom and friend, on the other hand it is the most delectable piece of food he stands to receive while in the camp. His ultimate decision will bring you close to tears. McFadden continues testing the limits of humanity when Harlan returns from Europe and finds that not only is the euphoria of 1920s Harlem gone, but that life is not done with him—no matter how much he is done with it. Photo: youtube What I found most compelling was McFadden’s juxtaposition of dreams and destiny. While I am not well-versed in McFadden’s work, a theme I am beginning to notice is life’s relationship with pre-destiny. When Harlan arrived into the world, yawning with apathy, we were told that his stay here wouldn’t be easy. And nothing could derail him from that; the alcohol, the drugs, the Harlem Renaissance, were no fortress to the pre-destined path Harlan was made to walk. The same is true for his best friend Lizard, whose escape into a new identity is the very thing that leads him to the confrontation of his truth. For McFadden’s characters, life has meaning. Each person she places in her stories is ascribed a duty that they are born to fulfill, no matter how trying the process, their existence serves a purpose far bigger than their individual selves. 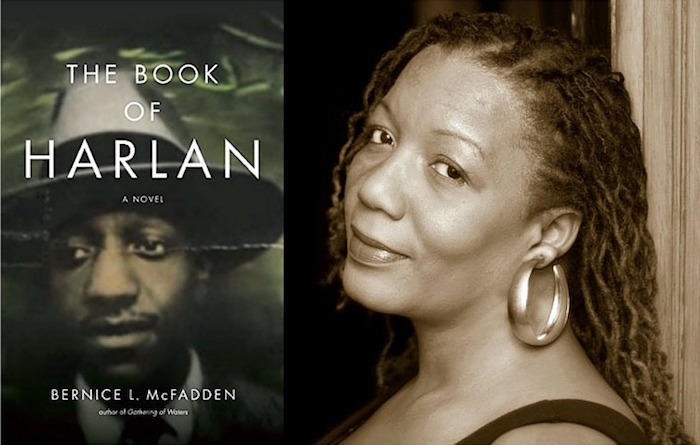 McFadden’s use of foreshadowing gives truth to this belief—she is constantly setting you up with clues, markers of significance, that we can only regard in hindsight with respect to our own lives—and gives her already omniscient narrator an even more mythical element, a structuring reminiscent of Toni Morrison’s. I continue to be amazed by McFadden’s work, and The Book of Harlan does not disappoint. Although it did leave a glaring unanswered question in one storyline, I can only hope that perhaps it will be answered in a follow up novel. If you aren’t tuned into McFadden, I highly recommend you add her to the top of your Must Read list. Be sure to pick up your copy of The Book of Harlan May 3rd! READ NEXT: Is Kevin Hart adding author to his resume?